This article from the National Cancer Institute provides a good summary of the scientific findings: 2% of all breast cancers are linked to BRCA mutations, and women of ethnic Ashkenazi Jewish origin are more prone to carrying such a mutation (8–10%), with those of Hispanic origin being second-highest ranking group (3.5%). This is not to downplay its significance, but the link between such a genetic mutation and breast cancer affects a small subpopulation. Furthermore, we should be aware of how statistics are interpreted. Having a BRCA mutation does not automatically guarantee the occurrence of breast cancer. Very few diseases have this black-and-white, “if you have this mutation, you will definitely get it” certainty. Cystic fibrosis (with mutation in the CFTR gene) is one example; Huntington’s disease (with the CAG repeats in the huntingtin gene) is another. This is not so with BRCA and breast cancer. This points to a rather common feature found in diseases: many of them are polygenic, meaning that it takes a combination of a few genetic mutations for the physical display of the symptoms, or the phenotype of the disease. In other words, it is a group effort. This research update from the Mayo Clinic is a good example: depending on what other genetic mutations are involved along with the BRCA mutation, this can mean breast cancer at an earlier age, or not having it at all. There are much nuances to the science behind such medical cases, and we should be careful to not oversimplify or exaggerate its ramifications. 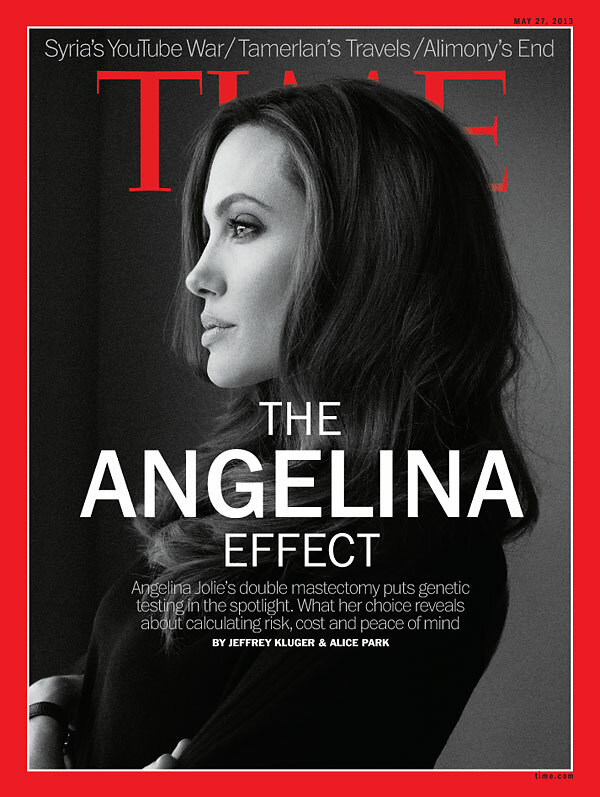 Jolie’s case can be categorized as “preventive medicine”: preventing the happening of diseases or illnesses before they even take place. More common preventive measures include proper nutrition and exercising, but the surgical removal of bodily issues before the manifestation of a disease also fits the bill. This points to the “Principle of Totality and Integrity” in bioethics. The vision of this principle can be considered as more holistic; our responsibility towards our bodies does not come from the myth that we own our bodies, a kind of “my body, my choice” attitude. Rather, it comes from the fact that we are created in the image of God, and with that comes our intrinsic goodness. It is not a matter of lordship, but stewardship. Therefore, we cannot consider ourselves as usable mechanical objects with replaceable or disposable parts. 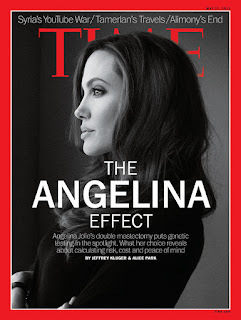 With this ethical perspective in mind, how is Angelina Jolie’s case to be dissected? We know that breast cancer can be fatal. In her case, it is to prevent the cancer from manifesting in the first place by getting rid of healthy but not diseased bodily tissues. Then again, must the surgery be delayed until she begins to suffer from the effects of the cancer, so that it fits into the “life-saving” category? On the other hand, it can be said that the integrity of the human person is preserved. This ultimately boils down to the statistical likelihood of having breast cancer, which points back to the importance of being literate in science. Until which percentile should the disease be considered certain enough, or is it more of a personal call? Can we also extrapolate this to other diseases? These are difficult questions which illustrate the grey areas in this case, but we shouldn’t let them intimidate us from tackling them, let alone thinking about them. We may not all need to be ethicists, but we can do ourselves a favour by increasing our scientific literacy, so that we can be better equipped to sensibly and intelligently discuss these issues.